The three men of interest on this 1840 census enumeration are not related by blood, but there is a connection. 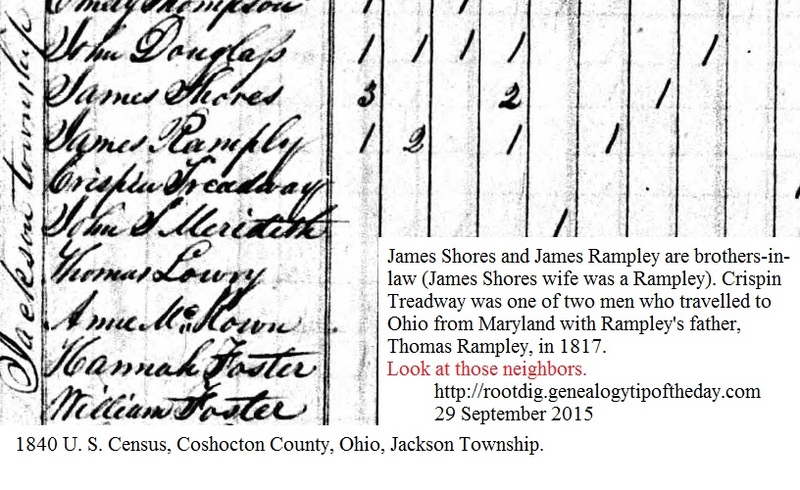 James Shores married a sister of his neighbor James Rampley. The two young men have a seventy-something neighbor Crispin Treadway. Rampley had known Treadway for years. Treadway was one of the men who traveled with Rampley’s father, Thomas Johnson Rampley, from Harford County, Maryland, to Coshocton County in 1817. Twenty-three years later the families are still living in close proximity to each other. In looking at this enumeration, I recognize the last name of Lowry as a last name in Hancock County, Illinois, where James Rampley settled in 1849. Neighbors are often neighbors in more than one location. 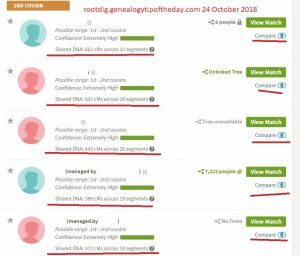 In a future post, we’ll see the 1830 census enumeration for these families. There are some more minor discoveries there as well.